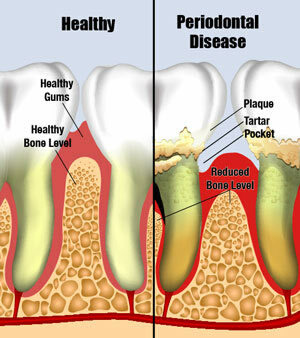 Periodontal Disease is an "Ongoing Infection"
A periodontist is a dentist who specializes in the prevention, diagnosis and treatment of periodontal disease. Many periodontists have also taken advanced training in the placement of dental implants. Periodontists receive extensive training in these areas, including 2 to 3 additional years of education beyond dental school. Periodontists also provide other treatments, such as crown lengthening and bone regeneration (see the Individual & Cosmetic Procedures section for more information on these procedures).